In the coming year or two, you're (hopefully) going to be hearing more about Progressive Web Apps (PWAs). The general idea is that instead of "make it an app", a PWA is a website with some additional installation instructions. If you consent to "installing" a PWA, it puts a set of necessary files on your device in order to help the thing launch better. This is different than other micro-app approaches (Electron, Adobe Air), because it uses the browser you already have, just gives it a better access point. PWAs have been a "thing" for a while, but basically only on an Android phone. Google did a lot of early experimentation (changing the spec like a million times just to make my life wonderful), but now Apple is going to be fully supporting PWAs on the iPhone and Microsoft is going even further, allowing PWAs full desktop access and propagating successful PWAs to that Windows Store thing nobody uses. I like this, because I think websites are good and apps are dumb. 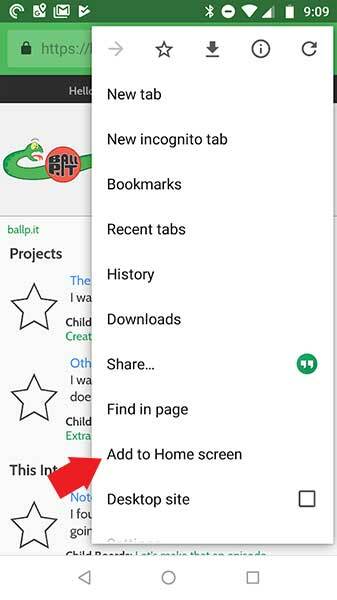 You'll get a whole bunch of options, one of them will be "Add To Home Screen"
The ballp.it icon will get added to your homescreen. Now if you launch ballp.it with that icon, you'll get a slightly different display. Ballp.it will appear standalone (without url bar), and will run a little bit faster since it gets its own process and has assets it can pull from locally. 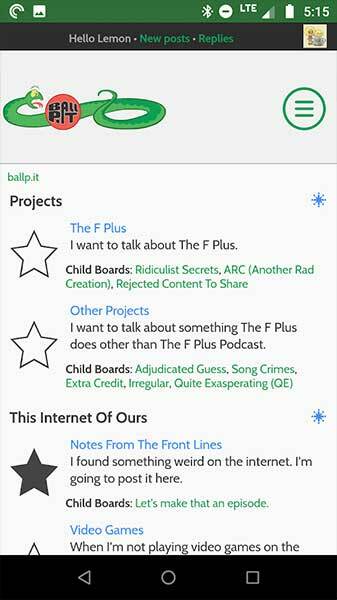 I find it more better to browse ballp.it in, personally. If you're wondering why ballp.it gets the little Chrome icon in the corner and the other ones don't, that's the fight I finally surrendered on. In order for it to score 100% on the PWA checklist Chrome has to be able to assess a starting home page. Because of the way simple machines works (by serving literally everything thru index.php), the scorer gets confused and so it can't figure out an index. 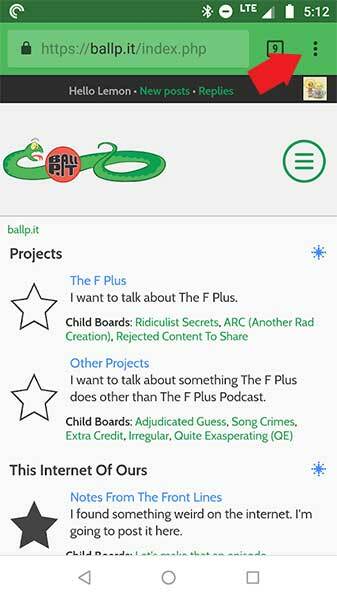 This is why ballp.it won't bring up one of those "install this to your phone" screens like, for example partypartypartyparty.party will after repeated visits. I've literally tried to solve that problem a dozen times, finally deciding just putting up this ballp.it post would hopefully be sufficient. The process is basically the same, but the buttons are different. Click the "Share" button in the center bottom (the square with the arrow going up) and it'll bring up a screen with a shitload of options. 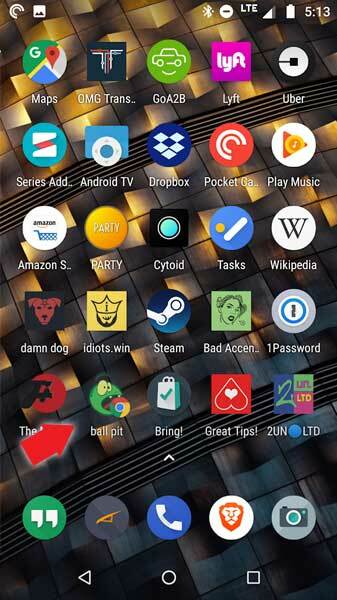 One of those options will be "Add To Home Screen". - the login links in the very top header are treated like external site links, and open outside the app. Login links under the logo work fine though. - Switching to another app and switching back causes the app to reload back to the main index. I dunno if this is just an iOS issue. I think I might still have a Windows Developer account lying around if you wanna publish it to the Windows Store and not have to pay whatever it is they're charging these days for an initial account. The links at the top? Do you mean the stuff that says like "login" and "new posts"? Agreed, this shouldn't happen, and doesn't for me. I'm guessing it's an iOS issue. Further, I'm guessing it's an iOS issue that should resolve itself soon. Apple didn't take PWAs seriously until very recently, and I think they have some catching up to do. Uhhhhhhhhhh, okay? What do I do? Yeah, at the dark bar at the very top. When you're logged out it says "Welcome, Guest. Please login or register." You've pretty much already done most of it from the looks of it. Go here, go through the wizard (It'll auto-fill almost everything since Ballp.it has all that data pretty well set up), and once you reach the "Publish" page generate an AppX file (You'll need my publisher ID which I will PM you), send it my way, and I'll publish it. OOH! I didn't even know such a thing existed, thank you! I've just generated an AppX file for damn.dog - let's try that one first and then go from there? ooooh! While I was at it, I might have made the manifest work like I want it too. 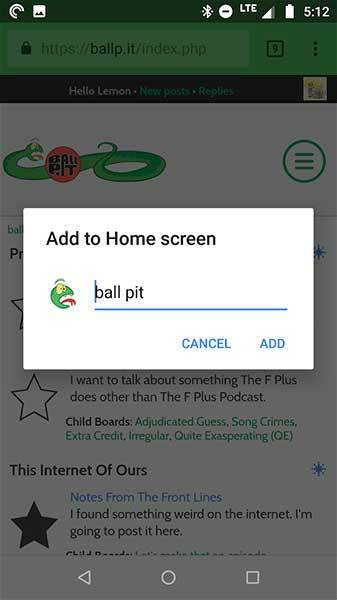 More research is gonna be required here, but I think I can make it so the Chrome icon won't show up next to the ballpit snake.